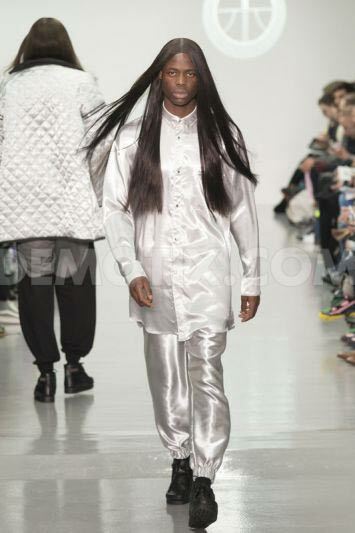 The male equivalent to fashion week - London Collections: Men exploded with bang this week as we saw AW14 trends hit the runway for its fourth season running. For three days, central London showcased the best of British design talent and invited international buyers, editors, celebrities and bloggers to document the meteoric rise of the menswear fashion industry. 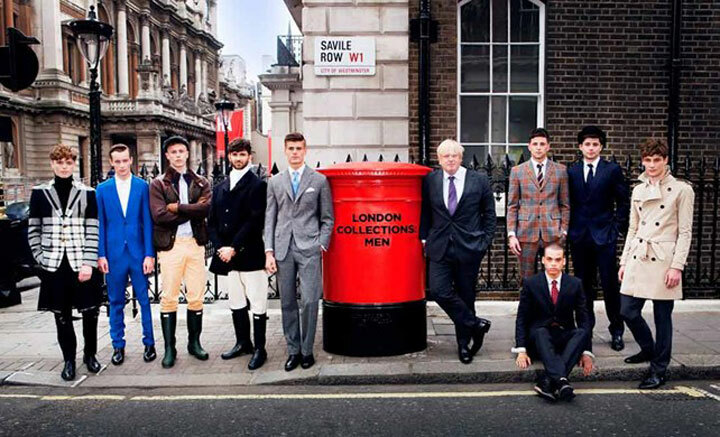 London Collections: Men is clearly going from strength to strength and is a reminder as to why London is the capital for men's clothing. Britain's illustrious heritage with bowler hats, brogues, tweeds and tartan mixed with modern trends ensures British designers remain at the forefront of fashion. 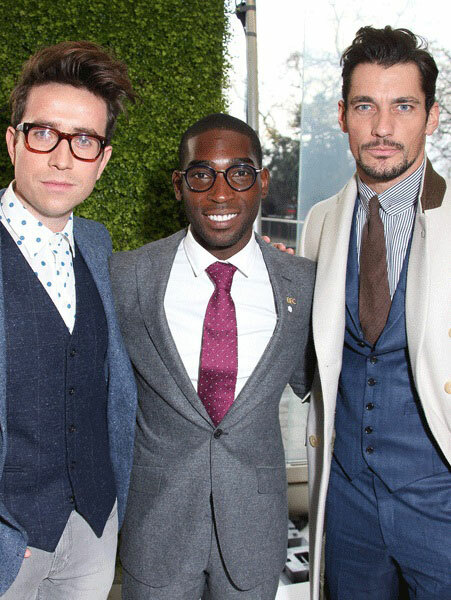 Famous fashion faces came to be part of the FROW and support the 130 renowned and up-and-coming British designers looking dapper as ever we saw David Gandy, Dermot O'Leary, Nick Grimshaw (newly-crowned GQ's best-dressed man), Tinie Tempah and the beautiful Jack Guinness at various shows. Monochrome. Whilst the black and white colour combo has been hugely popular with girls for years, 2014 will be the year when guys begin to rely on it, too. 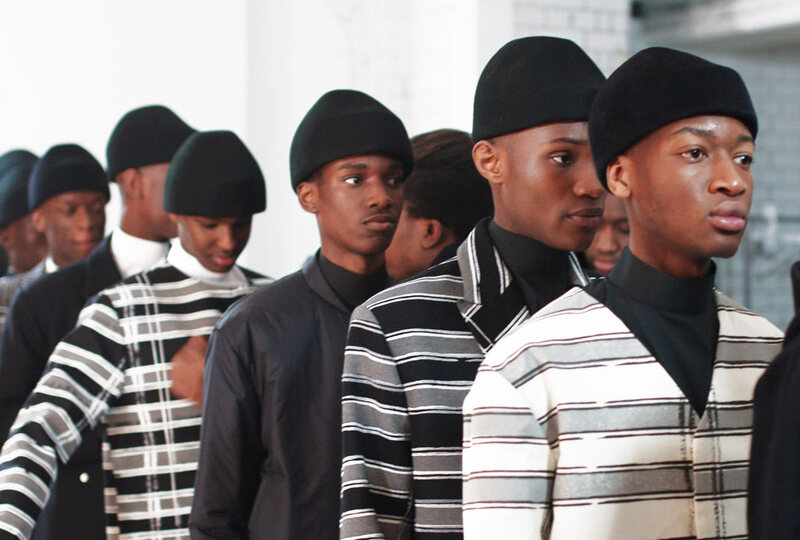 The best monochrome looks came from designer duo Agi & Sam one of London’s best emerging talents. Their black tailoring with bright white stripes definitely looked like something that will be a huge success come Winter. Over at Alexander McQueen, black and white came in various forms from the simple idea of contrasting white tee with black tailoring to big jumpers in monochrome prints. 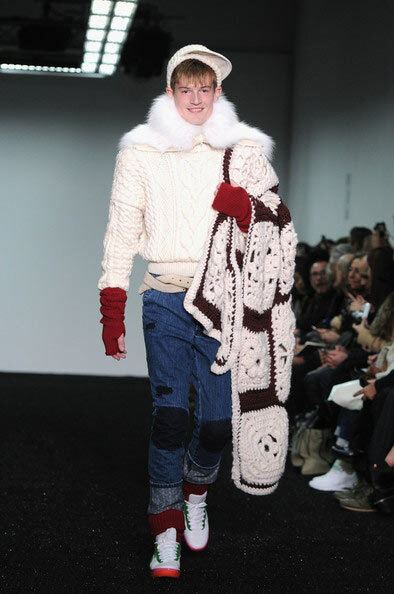 If there’s one small detail which looks set to become a running theme in AW14 men’s wardrobes, then it’s anything furry. Think along the lines of stylish hoods with a furry lining and trimmed edges rather than a full jacket. Go outside the box in terms of colour, as well as natural shades incorporate a beautiful bright blue or rich green. 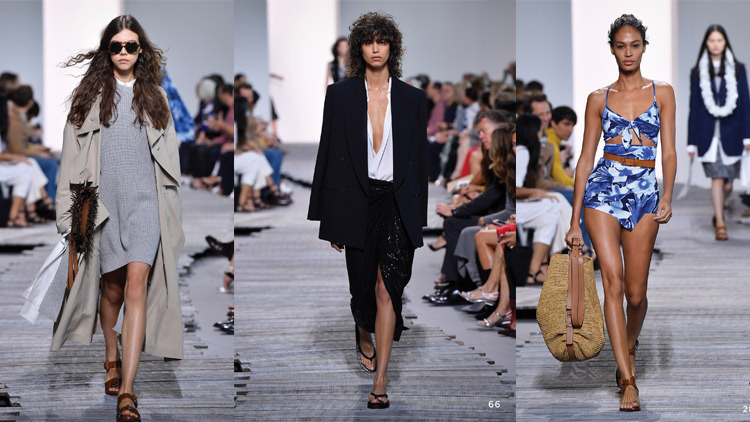 Richard Nicoll, produced one of the brightest collections this season, chose to add a luxe touch to his coats and jackets with dyed-to-match fur collars. Sibling were hardly subtle in their use of furriness, with jumpers covered in rows or tufts of fluff featuring prominently. 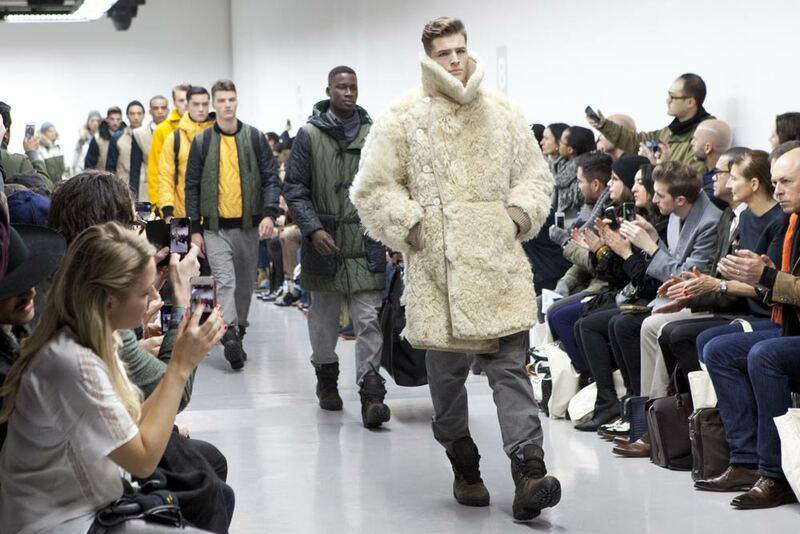 The coat of the season would have to be from designer Christopher Raeburn, he created a reworked sheepskin rugged coat which impressed critics and fashionistas alike. This trend is something that you no-doubt will probably have in your wardrobe already so you will be all set. Keep hold of your bolder checks for the coming autumn - it's the menswear trend that simply will not die. 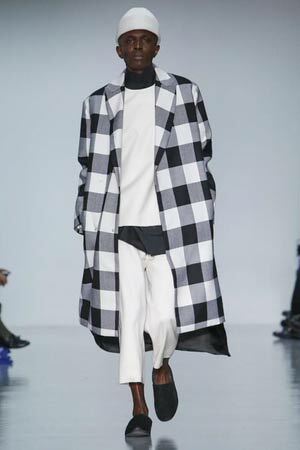 For something experimental, Agi and Sam went for oversized gingham checks while father and son designer due Casely-Hayford had some brilliant tartan trouser options. 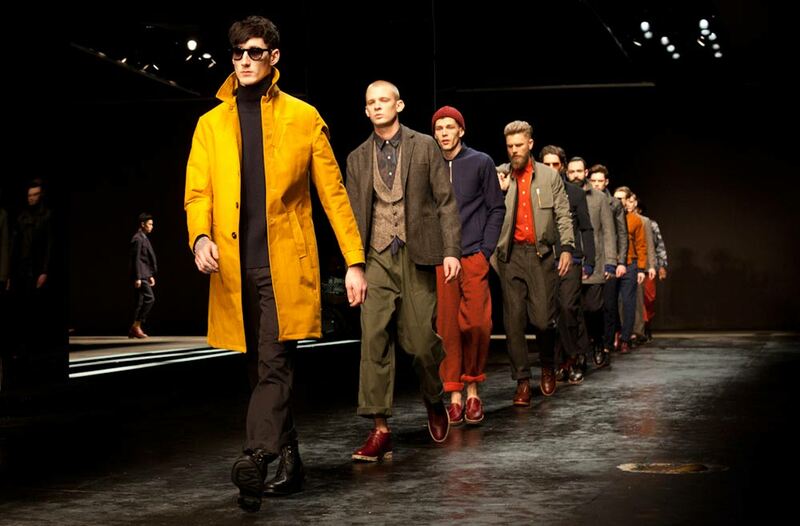 This year, scrap your standard grey and black jumpers and jackets and inject a bit of colour into your wardrobe. If you’re going to be a bit more adventurous and wear pops of colour this Autumn, make it navy and orange. 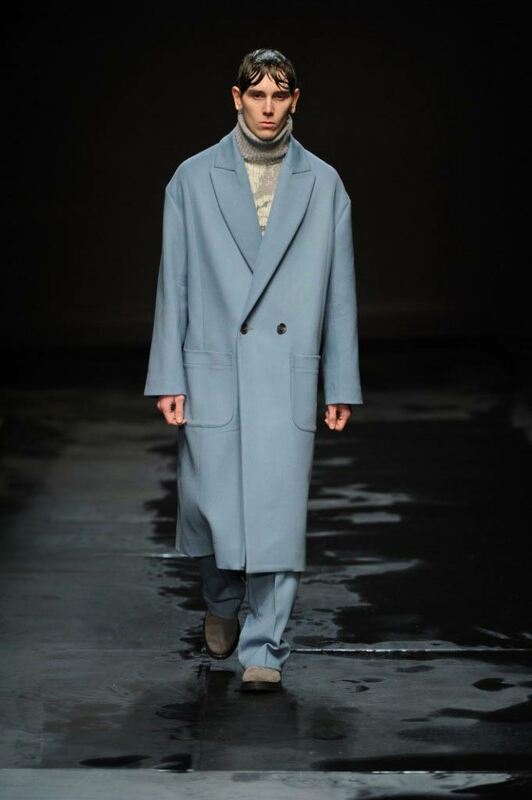 There was rich midnight blue galore throughout London’s menswear collections. The very best examples came from the more traditional designers like Gieves and Hawkes who showed a swooshing cape in navy blue. With orange go more for one item to brighten an outfit, rather than the head-to-toe look which is never ideal. This idea was beautifully executed at Oliver Spencer where single orange pieces (cropped trousers, panelled jumpers and bomber jackets) were paired with navy, grey and black. AW14 will see full-on decorative prints beautifully spread across entire outfits. 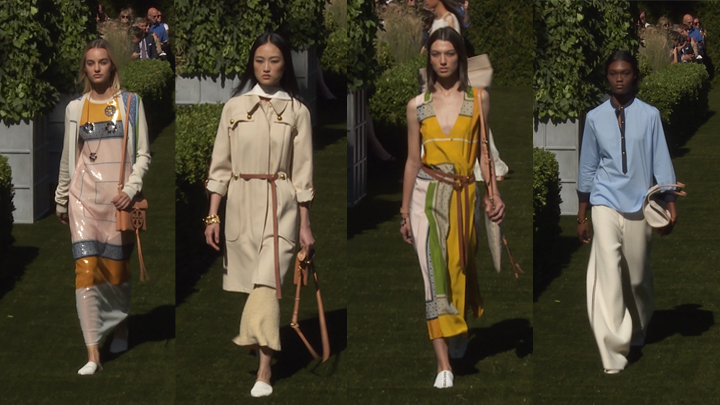 Now, we all no that the concept of matching the bottom half of your outfit to the top isn't exactly a fresh fashion development but it will be pushed to the extremes. 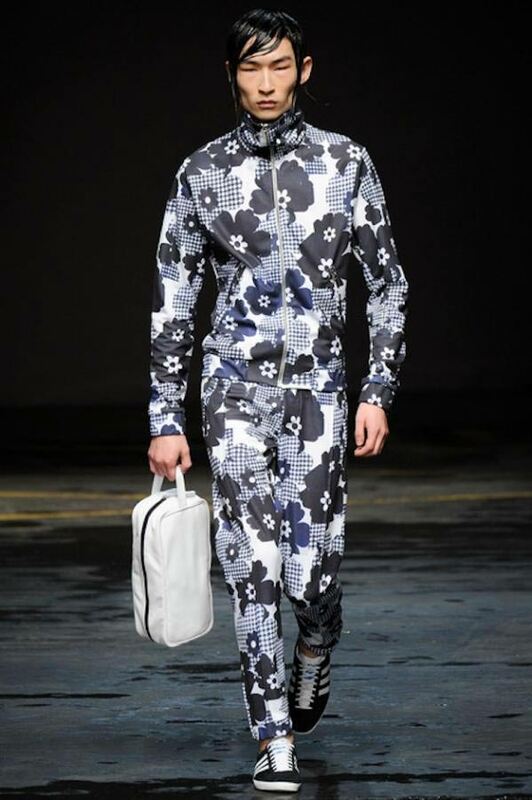 At LC:M J.W Anderson showcased cropped trousers and boxy jackets which admittedly are not the most immediately wearable, however Christopher Shannon had prints which make the concept more consumer friendly and wearable. Extra tips, hints and advice …. Feeling extra bold? Go for a fabulous shiny metallic knitwear piece or tailored trouser which will not only make you stand out, but look fabulous! Oversized items are going to be HUGE in every sense of the word. Oversized outerwear rocked the runways and went down a storm. Invest in a statement coat or a bomber jacket. And if it rains? 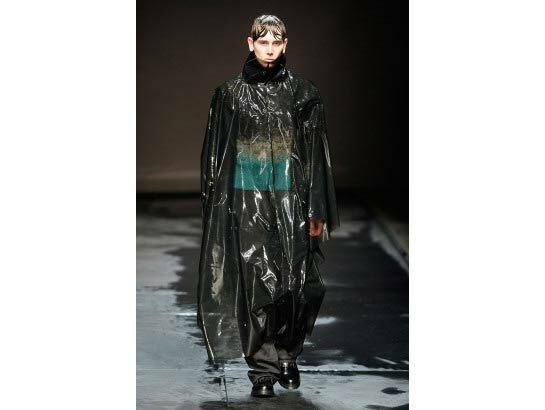 Rock a waterproof. Believe it or not they are on trend so no need to feel ashamed anymore! Hurray!